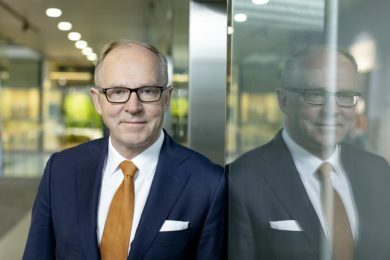 Pekka Vauramo might have only been away from the mining industry for just over a decade, but the new Metso CEO is acutely aware that the digitalisation and automation trend he saw the beginnings of during his time at Sandvik now plays a major role in planning the mines of the future. Fortunately for Vauramo, a mining engineer by profession, he has come into this executive role at a very good time – Metso’s October-December quarter results showed an operating profit of €93 million ($105 million), or 10.4% of sales, and a 38% rise in orders received (in constant currencies) on the back of strong mining equipment demand. IM met with Vauramo in London just after the financial results were published and asked him for his initial impressions of Metso, three months after joining from Finnair. IM: As a group, what are the core commodities Metso focuses on? PV: From a crushing viewpoint, it really doesn’t matter if it is iron ore, gold, copper, or nickel. Many of our customers are investing in copper right now – electric cars and battery metals are driving this. There are also ongoing investments in iron ore.
IM: What were your goals for Metso when you were appointed to the CEO role last year? PV: The overall objective for Metso should be to grow the business. Metso has been standing still on its feet for quite some time. We have been profitable over the years and the focus has been on delivering black numbers even in difficult days; there is always value in this. But, when looking at long-term R&D, which really lays the groundwork for organic growth, we have to increase our investments. Metso reorganised itself during Nico’s (Delvaux, former CEO) time a year ago. 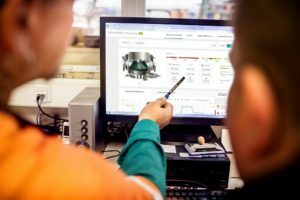 The current organisation is, therefore, fairly young and, in the short term, we need to continue making sure we know what our responsibilities are within Metso and ensure we don’t lose sight of our customers. Several of our businesses have common customers and we need to be able to deliver one Metso experience. My approach coming into the role was to validate where we are with the current way of working. My conclusion is that right now, no bigger changes are needed. We will, obviously, finetune as we go. Also, when we look at the latest results, we have no reason to change! PV: Technology plays a certain role – the industry talks more about automation and we do see more automation. I was involved very early on with automation in the Sandvik days, introducing the automated underground loaders, and can still remember when we carried out the first trials. 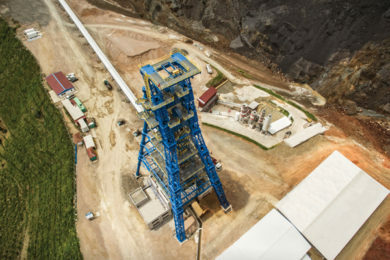 It is becoming, maybe, not the norm yet, but every new mine has the option to automate. Then, of course, with the automation capabilities, the question is: where are the people operating or overseeing these machines? Do they have to be on the mine site, or can some of them be elsewhere? Next, it is about how much data can be obtained from the equipment and what value can be gained from the data. Also, consolidation has happened in the business. Some of the mining companies are no longer around and bigger ones have got bigger. This junior activity in mining has been an interesting and exciting part of the business – it is still there, perhaps not to the same extent, but there are also some new names. We see also China investing in Africa on a bigger scale. They had their first investments in Zambia when I was with Sandvik and now it owns many more mines there. Chinese companies are also in South America; it has become a much more international field. IM: I have seen a few interviews talking about Metso’s R&D spend and how the 1% of turnover investment figure is inadequate. What do you see as an adequate % of turnover to invest? How quickly can Metso reach this level of investment? PV: I think Metso needs to double that. But this takes some time; it is not just about money, it is about the capability and the R&D culture within the company. We have that culture, but we need to expand it. We are ramping it up – we have added more than €10 million ($11.3 million) in R&D last year and are planning to add another €10 million this year. Also, besides the traditional R&D, we will continue to invest in digitalisation. We currently put more than €10 million into that and I’m quite sure we need to put more money into in it, too. Currently R&D and digitalisation are in slightly different ‘boxes’, but as long as they are delivering something that helps customers to do better business, then it is all considered product development. IM: Do you think mining companies are fully realising the potential value these digital solutions can have within their operations? PV: Every company is doing something by itself, but where I see the industry is partially holding back is that some of the customers think this data is something they own – and rightly so. However, I think companies like Metso could, let’s say, put some algorithms on top of the data and add value by comparing data from other places and share the relevant results with those participating without telling the secrets of others. If I look at what other manufacturers have done over the years, it is evident that the industry is moving in this direction. From the end users’ viewpoint, it can be somewhat complicated because companies make different choices on technology and all these technologies need to be interfaced somehow into similar formats. Currently, this might be an issue as there are not really strong enough standards in the industry – yet that would help people streamline things and concentrate on the data. IM: Will Metso’s future focus be on organic growth from R&D, as opposed to the M&A activity? PV: There is value in both strategies, but the R&D activity is something that companies need to do continuously. In a business that is cyclical – mining being the most cyclical business we are in – those companies that invest organically in R&D during the downturn are the ones that tend to benefit most when the upturn starts. The ones that have their offering in good shape are the ones that win when it gets busy. That is also where Metso should be. Acquisitions do play a role, but there are no easy answers there. We made several small acquisitions last year and we will continue with this. New acquisitions can be related either to the service side of the business or technology. IM: How has climate change and sustainability impacted the way Metso develops minerals processing technology? PV: There has been a tremendous movement since the latest climate report was published last year. Now, everyone is rightly concerned about emissions. 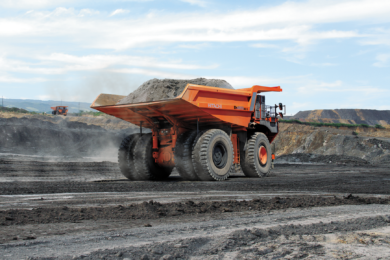 The mining equipment we talk about is primarily electrically driven. Energy efficiency is one of our focus areas. If we broaden the topic out to water, for example, we know some of the deposits are in difficult places where major parts of the investment go into desalinating and pumping the water to the mine site. So, becoming also more water efficient is something that will be critical for mining companies. There are always moments that stop the industry to think about what can be done to prevent accidents from happening. Our deepest sympathies go out to the ones that lost their relatives or closest ones in the Feijão dam collapse. It will change how mining is conducted and there may be some technological developments which we, as a company, can take forward. IM: Lastly, what parallels can you draw between the mining and airline industries? PV: They are somewhat distant industries, but both are fairly specialised; mining is something people very seldom go into just like that. You can acquaint yourself with many other jobs or businesses by just walking around in that environment, but you don’t end up doing that in a mine or an aircraft. Yes, you travel in an aircraft, but there’s much more behind the cabin you don’t know about. In these type of businesses, people need special training and need to be selected – not everyone can work in a mine and not everyone is qualified to fly an aircraft. Both are people businesses at the end of the day: even though the operations may be automated – aircrafts might fly with the autopilot and mines might be run by an autopilot – sometimes highly-skilled human intervention is needed. A big part of the airline business is service. It’s a very fast cycle service business, which provides a good opportunity to learn about how service works. It’s a daily routine with people spending anything from half an hour to half a day on an aircraft. When the flight is over you get quick feedback. 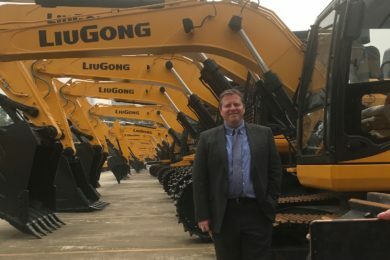 If you look at the mining business, some of the projects take two years to sell, two years to deliver and one year to start up. It’s a long, long cycle. But, you either like the service or you don’t like it. IM: Do you have anything else to add? PV: Just to say, on the results, I am very grateful to our customers for, first of all, trusting us with their business. I am also very proud of our people in all the countries we are in – and in many departments such as sales and service – who have done a great job over the past year.